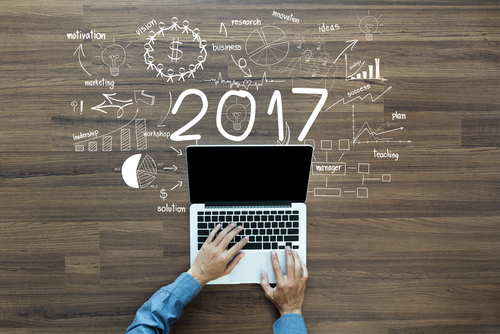 2017 has been a pivotal year for the ad tech industry. P&G executive Marc Pritchard set the tone for the year in January when he declared that it is time for digital to grow up and clean up its act. Since this call for transparency and safety, leading brands, publishers and technology companies have taken strong stances on some of the digital media industry’s biggest challenges, innovations and trends. Topics like fraud, brand safety, untapping the value of data and ad tech consolidation have been top of mind. At Bidtellect, we work hard to stay ahead of these trends, ensure that we are always complying with industry standards and to be as effective and efficient as possible for our advertisers’ content, performance and investments. Not surprisingly, the IAB initiative to fight fraud, Ads.txt, was a hot topic in 2017. Although at first there were relatively low adoption rates, there is a consensus that this is the first step in ridding the ecosystem of fraudulent behavior. While this will not solve every problem, it is an important first step. Going back to Pritchard’s declaration, taking responsibility for fraud has also been highly discussed. Companies throughout the supply chain are responsible for bringing quality and eliminating fraud. The onus is on all of us, not one constituent. In addition to developing the necessary technology to support ads.txt, we have also put proprietary measures in place. For example, we validate every domain to make sure it actually exists before serving any impressions and we also ensure that there is a match between the IP sent via the bid request and the IP collected through the impression and click tracker. Brand safety has also been front and center as some of the world’s biggest brands have had to pull their campaigns from major technology platforms because their content has been associated with non-brand safe content. To protect advertisers from this on the Bidtellect platform, we have extensive brand safety measures in places to protect brands’ content from appearing next to content that does not align with their values. In particular, our pre-bid solution analyzes and caches pages URLs to determine whether they are acceptable based on the brand safety selections made on the campaign level. This occurs before any impression is ever served. Additionally, more than just having the standard IAB segments, we can drill down into additional sub-categories to supplement beyond simple categories like Tech or Entertainment. We also have brand safety options around newer industry problems, such as fake news. Finding the value in data isn’t exactly a new topic for the industry, but it is one that continues to be important to advertisers, especially as new ways to capitalize on data emerge and existing ways continue to evolve. Brands want to be sure that they are tapping into all available data to its fullest potential. For example, the value of an impression can mean multiple variables: content, audience, time of day and location. Understanding all of these data points will enable advertisers to deliver the most relevant content to consumers at that point in time and establish a true engagement with the end user. A big trend that really took hold in 2017 was the utilization of account-based marketing (ABM) in B2B marketing. Account-based marketing, put most simply, is targeting your ad dollars specifically to companies you may consider as a lead. Bidtellect is integrated with several Data Management Platforms (DMPs) enabling marketers to build custom audiences and activate them across marketing channels to achieve better results and greater reach against target audience. The value of a DMP for brands and agencies is not up for debate, but how to make the most of your data strategy with the right DMP(s) differs for each brand. There are many leading DMPs in the ecosystem, all with unique value props, and it’s important for ad tech companies to identify their needs when choosing their partners. For example, one DMP might offer the most advanced cross-device capabilities but another may excel at capturing the most relevant first-party data. Most DMPs will not cover all of these basic data needs, which is why it is important to make sure you are connected to the right partners. Bidtellect is integrated with the industry’s leading platforms to ensure our advertisers have access to the first and third party data required to fill their unique needs. Our strategic integrations ensure maximum coverage, so we can always be sure we can onboard whatever partner you may need. Audience, scale and reach: Bidtellect’s platform is integrated with leading data and supply partners. As mentioned earlier, we are connected with the leading DMPs, offering extensive first and third party data for the most precise audience targeting. Advertisers on our platform can easily scale their content because we are the single access point to the largest premium Native supply ecosystem, integrated with leading supply sources, such as TripleLift, Yahoo Gemini and Teads. Our platform is supply agnostic, allowing advertisers to reach expansive inventory while benefiting from the most advanced programmatic buying capabilities. Advertisers can opt into and out of specific inventory sources based on performance throughout a campaign and have the flexibility to manage/monitor their budgets and creatives on a single platform. Many of our supply partners offer a specialty through a custom integration with us either through extensions or a completely different integration (not IAB standard). Custom integrations ensure that we are getting all traffic with all possible information provided by each supply partner. Audience insights, data, pre and post campaign: Additionally, we have made Audience discovery very simple. Advertisers can discover their first party audience using our own pixeling/retargeting capabilities or through our DMP integration with Lotame without doing any additional work. Advertisers can also create third-party custom audiences using our platform integration with Lotame. Through them alone, we currently have access to 60+ partners with both probabilistic and deterministic data. To ensure we’re able to reach all audiences at scale, we proactively user sync with all our supply partners and maintain an industry high match rate. Insight into our pool of unique users for first and third party data is updated daily, allowing you to make informed decisions about the scale of your audiences. Bidtellect’s proprietary metric Engagement Score provides advertisers with an in-depth view of post-click consumer behavior, which is critical in content distribution campaigns. Engagement Score tracks and analyzes users’ time on site, bounce rate and page views per visit, and provides a holistic score that encompasses all three metrics to provide unique engagement analytics. Additionally, Bidtellect’s optimization technology was built specifically for native advertising and content distribution environments. This year, we made significant updates and enhancements to improve advertiser performance across a variety of campaign objectives with a heavy focus on driving conversions. Making it easy to partner, utilize capabilities: The most recent significant updates to the Bidtellect platform focused on ease of use and making the platform easier to navigate. Using a data-driven approach, we found the areas of our platform where users spend most of their time and used this information to make key changes. We hold client feedback in the highest regard and are always reaching out to see how we can improve. Including our partners in both our prioritization process as well as ideation, mocks, and beta releases allows us to be in lockstep with the people that matter most.